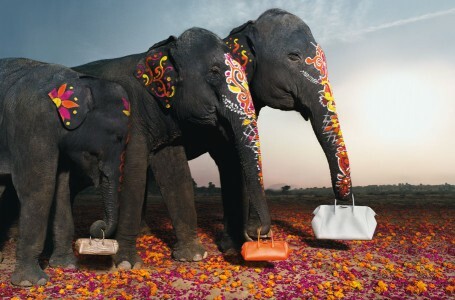 I love animals and I wish I can afford anything by Hermes. But this is about their new ad campaign, which is gorgeous, beautiful, creative, colorful and uses my favorite animal and my top place in the world to visit-India. Here are some of my favorite shots. You can see more here. Cut your losses and let your profits run. Wonderful article, I have saved as a favorite this website so hopefully I’ll discover much more on this subject matter in the future! I am frequently looking for someone to alternative posts along with, I’m a college student and possess a blog appropriate here on our campus web site. The topic of this internet site and writting style would go impressive in a few of my category’s, tell me ought to up for this. Very good written story. It will be helpful to anybody who utilizes it, as well as me. Keep doing what you are doing – i will definitely read more posts. You made certain good points there. I did a search on the matter and found nearly all folks will agree with your blog. I want to thankx for the time you have contributed in composing this article. I am hoping the same high-grade post from you in the upcoming as well. In fact your creative writing abilities has inspired me to get my own blog now. Really the blogging is spreading its wings quickly. Your write up is a fine model of it. Wow! It’s like you understand my mind! You seem to know so much about this, just like you wrote the book in it or something. I think that you can do with some pics to drive the message home a bit, besides that, this is informative blog. A good read. I’ll certainly revisit again. Nice commentary. Last week I discovered this site and wanted to let you know that I have been gratified, going through your posts. I will be subscribing to your RSS feed and will wait for your next post. You completed a few nice points there. I did a search on the subject matter and found most persons will have the same opinion with your blog. Thnx so much for this! I havent been this moved by a post for a long period of time! You’ve got it, whatever that means in blogging. Anyway, Youre certainly someone that has something to say that people should hear. Keep up the wonderful work. Keep on inspiring the people!